Honey is comprised of natural sugars like glucose, fructose, and mainly sucrose. 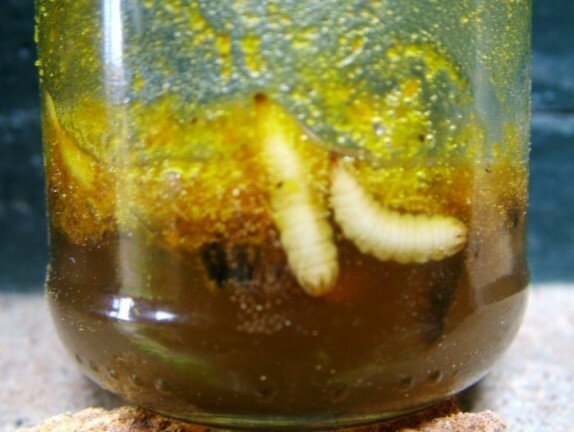 These sugars comes from the plants nectar and have a total sugar content of ~30-40%. The very aroma and flavor of honey is distinct by the flower that it is sourced from. In addition, it has more than 181 substances. During the conversion process of nectar being made into honey, the honeybees secrete a catabolic enzyme from their hypopharyngeal glands called invertase, which breaks down most of the sucrose (found in the nectar) into glucose and fructose. Often times honey with high water content is considered to be of lesser quality than honey with low water content. This has to do with the fact that honey with high water content is likely to lose its freshness quicker and ferment faster. A high water content, which can be measured by a refractometer, is typically 19% and above. This is even more of a concern for raw, unpasteurized honey due to the fact that it contains wild yeasts. 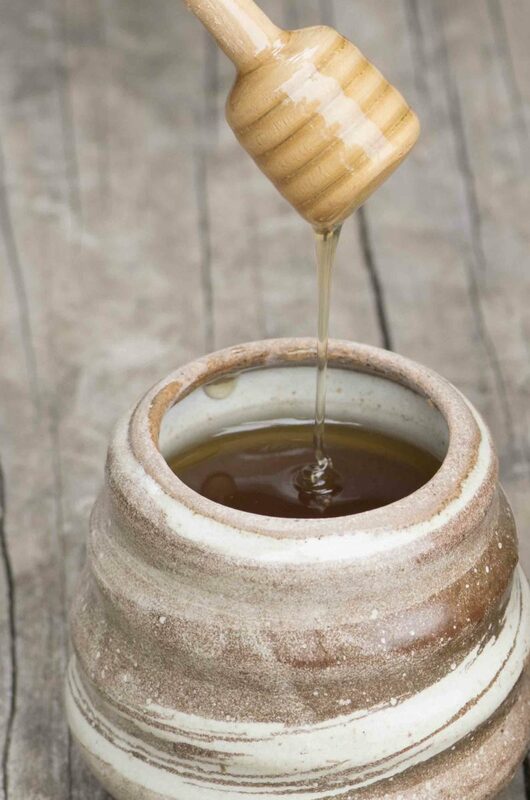 Raw honey with low moisture faces little risk with the wild yeasts because the natural process of osmosis, alongside the honey’s high sugar content, will draw out sufficient water from the yeast thereby submitting it to dormancy. However, raw honey with high moisture has a higher chance that its’ wild yeast will cause fermentation and this increase in acidity can reduce the quality. Being that honey is hydroscopic, it naturally absorbs the moisture from the air. Hence, in places with high humidity the honey will absorb more moisture and have a higher water content. In the general market, consumers often prefer their honey to be clean and clear of any additional content, regarding honey with added particles to be of lower quality. For example, honey with particles of wax, bees, or splinters of wood is thought of as impure. Some honey may contain high pollen content, giving it a cloudy look, which is very undesirable to the general consumer. However, although rejected as impure, particles like pollen in honey have actually been found to have health benefits. HMF is the product of when fructose is broken down. This is a natural process that occurs in honey at a very slow rate but can occur much more quickly when the honey is heated. Thus high levels of HMF (100 mg/kg) could indicate that the honey was given excessive heating or it came from a place with very hot climates. Typically honey that is traded in bulk is typically required to be 10 or 15mg/kg of HMF so that there is room for further processing and a period of shelf life before reaching the permissible maximum of 40 mg/kg. 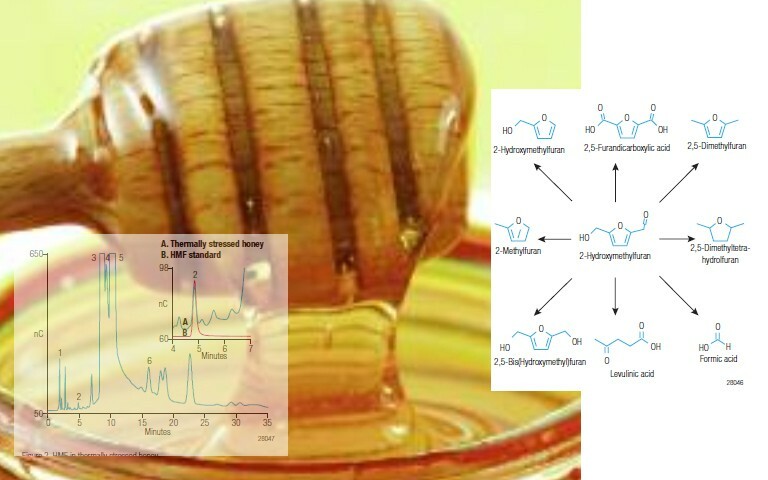 When the HMF in honey becomes too high it reduces the quality of the honey and can even become hazardous to health. Overall, honey is very sensitive to heating and light, and should not be raised over a temperature of 35 degrees Celsius, if possible.